Domain name coming to an end? 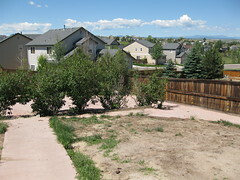 Welcome to OurColoradoLife.com: We moved, so did the domain! 7 days till we leave Missouri! Why are you moving to Colorado? Title paperwork? Are we getting a house? 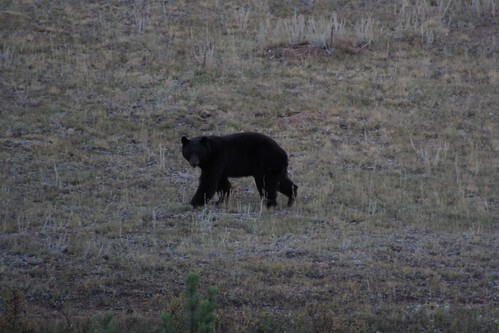 It looks like www.OurColoradoLife.com and of course the precursor, www.going2colorado.com are quickly coming to an end. 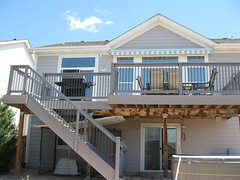 As of yesterday we have a signed contract on our house in Parker Colorado. Hopefully by this time next month we'll be free and clear of the house and able to move on with our lives here in California. UPDATE: sorry folks the washer and dryer are sold! So this weekend only, if you're interested in buying our house you can get the washer/dryer included in the deal! You gotta act fast though, they are going on Craigslist, if they sell there they won't be available as part of the house deal. 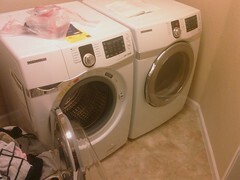 They are a really nice washer/dryer set to! Front loaders, Samsung, I don't have the model numbers handy, but they were over $2k less than 8 months ago when purchased new. 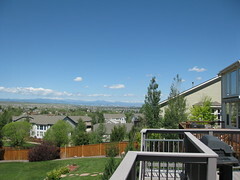 For those of you who have kept up with Going2Colorado.com and now OurColoradoLife.com you know how much time we spent looking for a house in Colorado. Well that house is for sale and our lives in Colorado are quickly coming to an end. We are picking up and moving to California, and the house is for sale. Check out the full blog post for more details about the house. The house sold in August of 2010. Unfortunately we took a rather large hit on it. To be honest, I wish it hadn't sold! Oh well, life goes on. 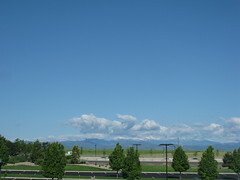 So now that we’ve moved it was time to change up the domain name a little, going2colorado.com was so first half 2009. Welcome to OurColoradoLife.com! All this time we’ve been using the site to track our adventures with the move, and now that the move is over it is time for the site to grow. So what comes next for the site? I’m overhauling the Flickr photo module I wrote for DotNetNuke, hopefully that will be done in the next week or so. We will also be adding some sections to the site. One of the things we want to do now that we are in Colorado is hike the 14ers, so I’ll be setting up a page and some features on the site to track our progress. There are over 50 fourteen thousand foot peaks in Colorado, our goal is to eventually hike them all! Stay tuned as OurColoradoLife blossoms, we love it here in this beautiful state, hopefully we can impart to you even a small portion of the beauty that this state offers. We’ve had a good time so far here in Colorado! I can’t believe we didn’t move here earlier. Last weekend my brother came in town for the holiday, we went all over the place. Saturday we went to SAME Cafe for lunch, even though our friends Brad and Libby were out of the state (they run the place)! I gotta remember that they’re always gone for labor day. From there we drove through Denver and up through Boulder before heading up to a dressage barn for Natalie to watch one of her students ride. 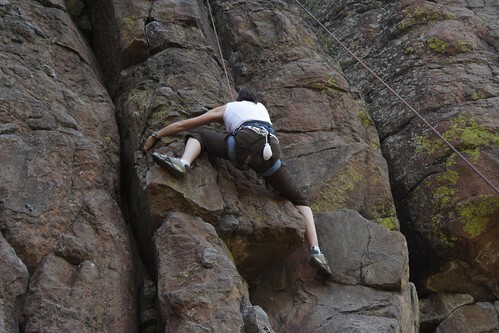 Greg and I took off to Estes Park for a couple of hours while she did that. Boy was that a great move, it’s amazing up there, look what we got to see! Natalie wasn’t too happy that Greg and I got to see a bear out in the wild, she was wanting to see one as well! Maybe she’ll get to see one this weekend. Monday we went to Cherry Creek state park to the shooting range and had some fun shooting at targets there, followed by a hike that evening with the dogs. 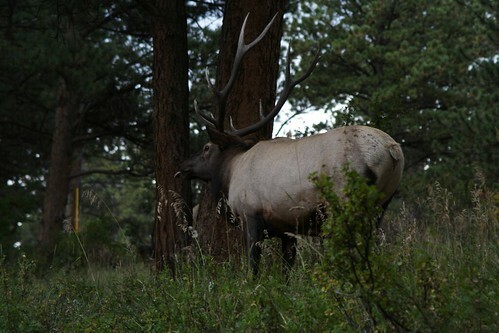 We went down to Castlewood Canyon State Park, which is only about 13 miles from our house. We hiked a few miles, unfortunately my Garmin was dead and didn’t record any of it, but I got quite a few photos, here are a few of them. It was great having Greg here for a few days, we were worn out by the time he left, I’m still trying to catch up on sleep! Wednesday I went skating again, I skated further than I think I ever have before, 11.7 miles. I’m going to try to top that distance in the coming week, maybe even on Saturday! That’s all for now, I think we’re going to hit Breckenridge on Sunday, hopefully with some hiking in the mountains. We’ve gotta start prepping for the 14’rs, we’re hoping to start doing this fall. Friday Natalie is going to a concert and I’ll begin loading up the trailer. I hope to have an idea if we’ll be able to get everything in the trailer or not, if I can cancel the Budget truck by 10am we won’t get charged. But heck, even if we cancel after 10am, it only costs us $50. In my mind that’ll be $50 well spent, as we have the truck reserved for a Monday pickup if we do need more room for loading things. It’ll also likely tow the 240Z better than the Envoy will. We’re planning on leaving St. Louis some time on Tuesday, driving roughly half way (Salina Kansas or further) and then finish up the rest of the drive on Thursday. I’ll likely need to go down to Cplorado Springs on Thursday to get a bank account down there for our second mortgage, they’ll give us a discount on the rate if we have an account there for them to ECH from. So Saturday at noon I booked a flight for Natalie and I to Denver, for our 5th trip to Colorado for house shopping. There were two homes that popped up last week, at the end of the week, that we thought looked great as prospects for us. We considered putting in offers without even going out and seeing them, but just couldn’t quite pull that trigger. After skating 12 miles Saturday morning, well to be honest I skated 11 and walked the last mile due to hardware issues with my skates, I came home and talked to our agent, and then started looking at flight options. I tried and tried to make Priceline work for us, but the best deal we could get on priceline was $350/person, way more than we wanted to spend. After a few hours of effort I finally came across a last minute deal on Travelocity with airfare and two nights hotel in the Denver Tech Center for $280/person, I booked it and less than four hours later we were on our way. At noon today we booked another flight to Parker Colorado, and it’s not midnight here in CO. We got into town around 10pm, drove by the two houses we’re looking at tomorrow to see what things look like at night. Hopefully tomorrow will be fruitful, two great looking houses, both are NOT short sales. I brought the good camera this trip. Time for bed. Seems like each trip is turning out the same way. We find a few houses, mostly short sales, that we like. We make an offer. Rinse, repeat. Natalie and I got back from Colorado again this evening. 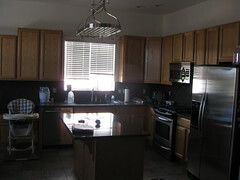 I’ll post a longer update from the trip later, but here’s some pictures of the latest house we’ve offered on. We actually upped our offer A LOT, right before we left this afternoon. This house appears to be made for us. The upper level is nearly 100% tile floors, which will be great for the dogs. The backyard has hardly any grass in it, and what we saw was being chewed on by one of four dogs, so that will need to be planted/sod. The interesting thing about the backyard is that it is 60% (rough guess) paved, that’s right, paved. There’s concrete all the way around the sides, and somewhat down the middle. You might ask why. Well we figure it’s because of the dogs. Our dogs at the last place we rented ran a track around the yard at the fence, I figure that they paved to account for this. The inside upstairs is great, only a few things (trim to pain) left to do. The downstairs is another story. It was finished at one point, but our guess is the dogs made a MESS of the carpet, so it was all cut up. The basement doesn’t smell good, but hopefully we can get that corrected if we end up buying the house. It’s a short sale, so who knows if we will ever hear anything on it. When people hear that we are moving to Colorado the most popular question by far is, Why? Well this is our answer. This is the view from our hotel room. We hope to find a house with a similar view. Today I received an email from a title company out of Aurora Colorado, attached to the email was a bunch of title paperwork regarding one of the short sale homes we have a bid on. I didn’t get my hopes up too much though as back in April I received pretty much the same paperwork on this house, with different purchase price numbers as this bid is lower than that other bid. The last time this came through prematurely as the bank hadn’t yet accepted the offer, and it looks like this time it’s the same mistake. At least we know something is still moving, I called the title company to see what they had to say, they said the bank hadn’t yet come back on the offer, but they were shooting for a July 15th closing if the bank were to accept. So we’ll see what happens, we’re still keeping our fingers crossed as this is the house that is our first choice. We’re looking at another trip out to Parker probably next week to do some more house shopping and possibly start looking at apartments in the area if we’re not able to locate a house here soon. So we gave up on the house we were making offers on earlier in the week. We gave them our final offer and they came back with an offer that wasn't close to that so we are done with offering on that house for a while. I got an email from Realtor.com this morning, it looks like they dropped the price $3k recently, too little too late for us. We'll take a look at making an offer again in the future, but it won't be any more than we've previously offered, perhaps less. 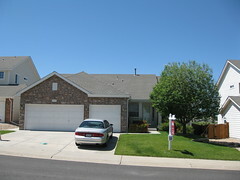 So right now we have two offers out on short sale homes in the Parker area. We're hopefull that one of those will go through, but we're not expecting to hear much back on those any time soon. I did get a realtor.com email last night with an interesting house that just went on the market in Parker, so perhaps we'll see if we can't line up a few more new listings and make another trip out there in the next month and look around. We're starting to think we may end up doing a short term, month to month, lease on an apartment out there if both of these short sales fall through.